Holualoa Foundation for Arts and Culture (HFAC) welcomes you to its signature cultural event, “Cool Fusion” noon-3 p.m. Sunday, Sept. 13 at Donkey Mill Art Center (DMAC). The entry fee of $25 includes one bowl of your choosing to take home and delicious hiyashi somen for lunch. In this third annual fundraising event, an astounding 1,000 ceramic bowls were hand-made by several local artists at DMAC’s ceramics studio. Upon entering, guests are to choose one of these beautiful bowls to keep, and from it, enjoy a light lunch of Japanese cold somen noodles with live music performed by Rolinda Bean and Mana Hasegawa. This event is great fun for the entire family and is also a great way to get involved with community, local art museum, and art education center. Somen is known to Japanese to be the queen of all noodles and is a signature summer dish that is served cold. Very thin, made from wheat flour, they are artfully presented and served with a personal sized bowl called a soba choko, a special broth, and an array of toppings prepared ever so carefully. In Japan, eating somen is way of community where new and old friends mingle discussing business, and enjoy the art of food, ceramics, and flowers. At DMAC, this experience of somen will honor the tradition by way of strengthening community through discussion and the meeting of new and old friends. This year, under this economic climate, never has this grass-roots fundraiser been more important and appropriate to take place preceding the Annual Membership Meeting where HFAC members are given an opportunity to discuss their thoughts on the future of DMAC. The general consensus among the community seems to be that everyone is doubtful of investing on fruitless things. Yet, others see this time as a chance to invest, and put an effort in new and potential opportunities. While mixing pleasure with business and keeping a positive outlook on the future of art education, HFAC attempts to evoke an uplifting spirit within the community. Art is an integral part of our daily lives, which by practicing, gives everyone a tool for self-expression and critical thinking. In other words, HFAC believes that art, culture, and creativity are an essential human need for survival, especially in the time of hardship. 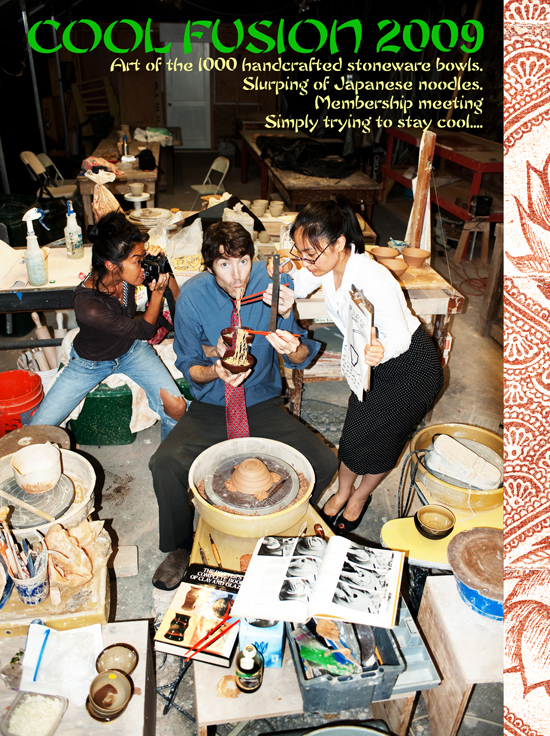 Be you a member or non-member, learn about the progress, challenges, and the exciting plans for the future, and get to know the incredible people that sustain HFAC, the art and a cultural rich community.